Friday, October 24 | 7:30 p.m.
Peter Lorre made a memorable impression with his breakthrough performance in Fritz Lang’s underworld thriller. Lorre plays Hans Beckert, a tormented child murderer who finds himself pursued not only by the police but by his colleagues in the Berlin underworld. Lorre’s disturbing yet pitiable performance was the perfect linchpin for Lang’s moody pre-noir thriller, and once you’ve seen M, you’ll never be able to listen to Grieg’s “In the Hall of the Mountain King” the same way again. 1931, 111 minutes, black and white, DCP | Directed by Fritz Lang; written by Fritz Lang and Thea von Harbou; with Peter Lorre, Ellen Widmann, Inge Landgut, Otto Wernicke, Gustaf Gründgens, Theo Lingen, Theodor Loos. Friday, October 24 | 9:35 p.m.
A quarter century after M, director Fritz Lang portrayed another urban manhunt for a serial killer in this lively American noir that combines a thriller plot with a venomous portrait of modern journalism. Dana Andrews is the journalist whose pursuit of “The Lipstick Killer” coincides with a struggle for control of the tabloid The New York Sentinel. 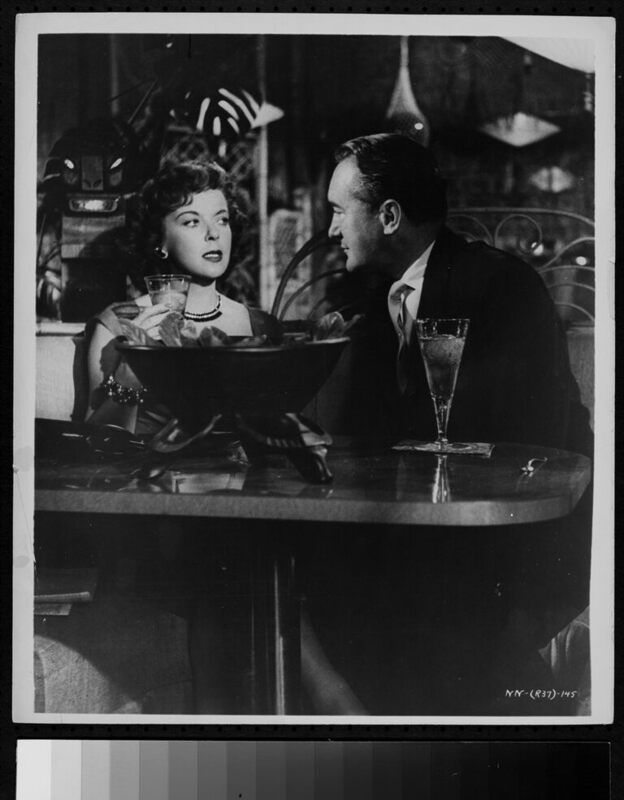 Andrews is joined by crime film favorites Ida Lupino, Vincent Price and Rhonda Fleming, not to mention Oscar winners George Sanders and Thomas Mitchell. Shot by fellow expat Ernest Laszlo – who earned a career total of eight Academy Award nominations, including a win for 1965’s Ship of Fools – While the City Sleeps was not only among Lang’s personal favorites, it was alsoone of the director’s final Hollywood films after two decades in America. 1956, 99 minutes, black and white, 35mm | Directed by Fritz Lang; written by Casey Robinson, based on the novel The Bloody Spur by Charles Einstein; with Dana Andrews, Rhonda Fleming, George Sanders, Howard Duff, Thomas Mitchell, Vincent Price.